There are a number of academic programs which train nurses in home care, and the respective agencies with which they are affiliated will place their LPN home health care providers depending on their experience and qualifications. Home health care workers usually work in hospitals, clinics, physicians’ rooms, health agencies, or public health departments that are licensed by the state. Many people are inclined to think that home health care is directed entirely towards the elderly, but in fact it can be for anyone with special needs; whether it is someone recovering from surgery and needing short-term care, or long-term care for someone getting on in years. Sometimes patients are home-bound because of an injury or an illness which makes it impossible for them to leave the home without aides such as crutches, a wheelchair, a walker or simply the assistance of someone with them. Sometimes more extensive forms of home health care are needed, for example, when the patient requires some form of rehabilitation program, which may include visits from specialized medical professionals. The bottom line is that home care is extended to anyone who is dependent on others for everything, and one of the greatest long-term needs of elderly people and those with chronic illnesses is to enjoy the benefits of being nursed by an LPN like you in their own home where they can feel safe and happy in their familiar environment. The patient, on the other hand, has the responsibility of providing an accurate medical history of themselves, to participate in the plan of care and also to notify the agency if they want certain treatments cancelled. Patients should also assist in promoting a safe environment for the nurse working there. With LPN Home health care, those who want to be treated at home as opposed to in a hospital or institution can benefit, but as the health care provider, you will want to be sure that the agency has a good reputation and positive track record. Once you decide upon home health care as a career, there are a number of important factors you will want to consider before joining a particular agency. how long has the agency been in existence and is it an accredited provider of services? 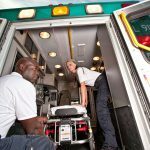 how are agency nurses hired and trained? does the agency provide the particular services you are needing for your loved one? is there employee screening in place? does the agency have a current license to operate? does the agency provide continuity of care? 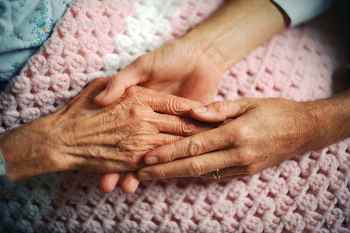 You as an LPN will know that it could be traumatic for an elderly patient or a younger sick child to get used to someone nursing them, and then face a sudden change when a new carer comes in, so be mindful of the patient’s feelings in such a situation. do they provide the public with information on who they are – brochures, a website? does the agency have a supervisor available 24 hours a day, seven days a week, to take inquiries? do they provide a ‘bill of rights’ laying out the rights and responsibilities of the person being cared for as well as the agency? do supervisors oversee care to ensure things are constantly being done the right way? does the agency interview its nurses to ensure the right one is assigned a job suited to their personality and skills? Many LPN nurses like yourself may find that working in home health care means earning more than in a hospital, even though working in a home setting requires that you take care of your own health insurance. According to the Bureau of Labor Statistics, the hourly wage for LPN home health care nurses is currently $19.91. Salaries vary widely between states, so you will simply need to weigh up everything to see where you are more likely to score more; in a hospital or home setting. The cost of home health care differs across the states and the services can be paid for directly by the patient or their family, or through public and private sources like Medicare, Medicaid and the Veterans’ Administration for instance. Your duties as an LPN can include anything from the basic personal care and feeding, to administering medicines, recording vital signs and assisting with rehabilitation. You will report your findings to a registered nurse or physician. You will need to keep up to date with medical knowledge especially when considering going into the home health care industry. This is because home health care can include nursing the elderly, children, the disabled or those with mental problems. 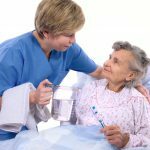 The care you will provide will include helping the patient get in and out of bed, dressing, eating, ablutions, providing pertinent data about the patient, as well as assisting with other day-to-day activities. Another of your duties will be to administer and monitor medications and dosages. Sometimes you will also be required to provide first aid and this will involve things like the cleaning of wounds and injuries. You may have to apply and change bandages as well as assist with sutures; all this will be dependent on the type of care that your patient requires. As a private employer, the family of the patient will be required to pay Social Security, unemployment and payroll taxes. Some LPNs who choose this field of work may choose to represent themselves as independent contractors, and therefore pay their own taxes, but if they don’t meet the criteria of an independent contractor and also don’t meet their tax responsibilities, the family, as the employer will be held responsible. It is important for private employers to consult with a labor lawyer to check out hiring and tax laws. An important employment benefit of an LPN with an agency is good liability insurance. As an LPN you are encouraged to ensure you have adequate insurance coverage when working in a home set up, or any other facility for that matter. Don’t just accept your employer’s insurance and assume that this will be adequate protection in case of a lawsuit; you should insist on your own personal policy, for safety’s sake. Unfortunately, with home health care there is the potential for abuse, and this is because while most LPNs become nurses because of their desire to help others, there are always those who see this type of work as an opportunity to take advantage of a patient being treated at home. With no supervision, an LPN nurse from a private enterprise and not from an agency often has no one to answer to, and has free rein to do as they please. Most families who hire private nurses don’t have the resources or the knowledge on how to do background checks; they are just too grateful to have found a nurse who is available and has reasonable rates. It is absolutely worthwhile doing some research on the Internet to find reputable home health care agencies. If you have done this, you will have been put through a battery of tests as well as a screening process, meeting every requirement regarding employment. 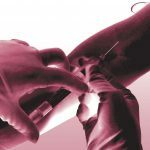 Criminal and drug testing is also included, and all these tests will ensure that whichever position you fill, the family will be able to have peace of mind that you have come from a reputable agency and will be able to deliver care which will be of a compassionate and capable nature. You will also be briefed by your agency, and so should understand the part you will play in delivering quality services. It is not only about training, but your characteristics and personality will be fitted carefully to each and every situation. If you decide to do this independently, it will be your responsibility to prove your reliability, honesty and trustworthiness. A licensed home care agency will always offer supervision for their employees, and this will be to your benefit as well, not just your patient’s. LPN home health care services often require that the nurses work with very challenging patients and circumstances, and then an agency supervisor can support the aid in the care that is provided. You will need to decide if working in a client’s home is what you are looking for because it can be entirely different from working in the intensive care ward or emergency room of a busy hospital or nursing home that you may be used to. The basic care extended to a patient may be the same, but the setting and circumstances will be different; certainly it will be a lot quieter. You may be working independently or you may work collaboratively with a couple of other nurses. In this setting, you will get to know your patient quite well, since you will be spending a lot of time with them on long shifts. You may need to aid in what is known as instrumental activities of daily living, such as preparing meals, making medical appointments and transportation. It is for this reason that the scope of practice for an LPN includes companionship, simply because you become personally involved with the patient. 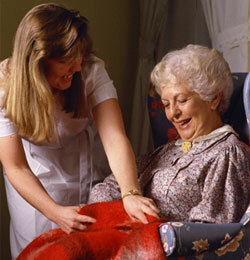 It is important that your patient is able to trust you, since you will be in their home every day. And it could be a fantastic experience if the two of you are able to get along well. You should certainly try to connect with your patient and build up a good relationship, but never forget to display professionalism at all times. Although you are there to offer your paid services, never forget that you are in someone else’s home. Home health care allows seniors, those with disabilities, and those who are ill to enjoy a certain measure of independence, but on top of that, the person receiving the care will value having care which includes privacy as well as assistance in all areas where they cannot cope. 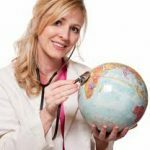 There is no doubt that a nursing agency has a great deal of responsibility in managing their home health care nurses in terms of financial and legal regulations, and you will have to do some research to find which one is the best for you. Ensure that you are well-informed of what benefits you will receive, such as medical insurance, paid time off, and salary expectations. 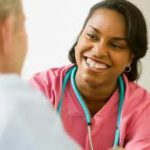 Whether you are going to be providing short or long-term or live-in home health services, you will be working in a branch of nursing that has earned a reputation for being able to provide compassionate, personalized attention to those who want to be nursed at home.